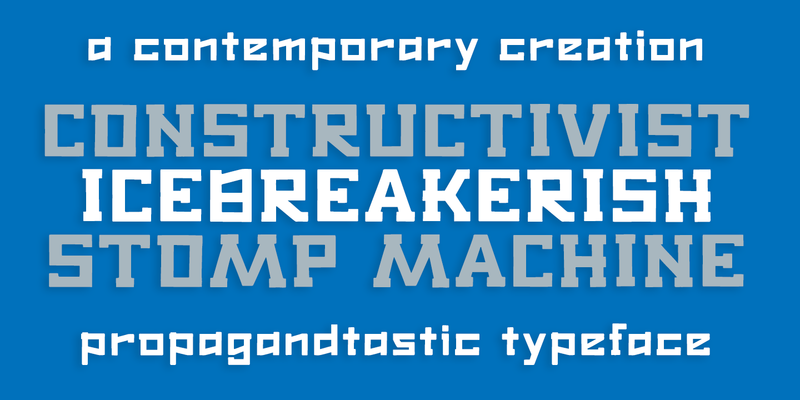 Arktika is a big, bold, constructivist, geometric slab serif font that’s as fierce and powerful as a Russian nuclear-powered icebreaker ship. With a strong scent of propaganda posters of the 20th century, combinined with a bit of contemporary flavor this font is sure to make a big impact wherever you choose to use it. 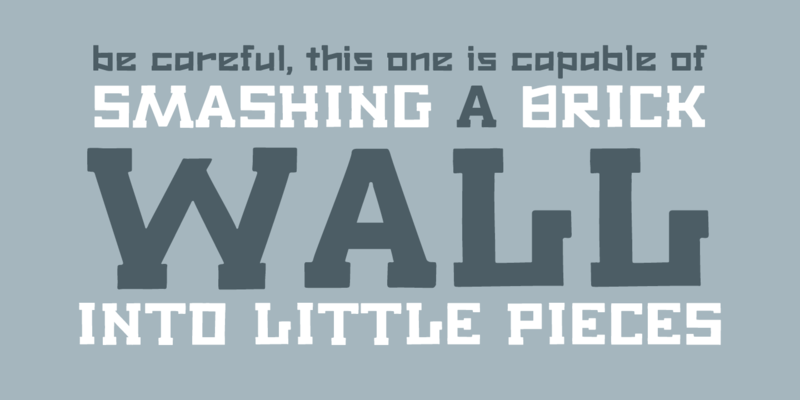 Use it big or use it small, this is a superstrong font that will crush you all.